New Zealand is proving popular with overseas students with new figures showing that tertiary institutions have seen a rise in Indian and Chinese students on the back of exceptionally strong migration figures. 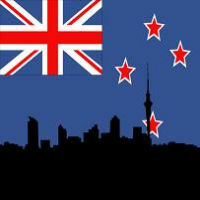 Statistics New Zealand says the number of permanent and long term migrants in the year to July was a net 59,600 people with July monthly new migration much stronger than expected at a record 5,700. The figure was boosted by students from India and China and more migrants from Australia, mostly returning New Zealanders, while the net loss of people to Australia is now down to its lowest levels since 1991, as the Australian job market worsens. After Australia, the next biggest group of migrants was 13,800 from India, with three quarters on student visas while 13,500 were from the United Kingdom, mostly on work visas or with New Zealand citizenship, followed by 10,400 migrants from China, with about half on student visas. In Wellington, Weltec and Whitireia, polytechnics have had a 35% increase in international students in the last year, studying business, IT, hospitality, engineering and health courses in particular. Weltec chief executive Chris Gosling said the international student body used to be dominated by Chinese students, but there were now just as many from India and the growing number of Indian students reflects the stronger Indian economy in recent years and visa rule changes allowing students to work while studying in New Zealand. Experts said that migration is high and there is no sign of it slowing. The fact that the New Zealand economy has been doing better than Australia makes the country attractive to new arrivals. But they also pointed out that in the second quarter of 2015 New Zealand’s unemployment rate increased slightly to 5.9% while it is 6.3% in Australia. Fewer New Zealanders are being attracted to move to Australia and the net outflow of New Zealanders to Australia fell to a post 1991 low of just 240 people. In the 2013 July year, there was a net loss of almost 30,000 to Australia, and 40,000 three years ago. In the latest July year that was down to less than 900.